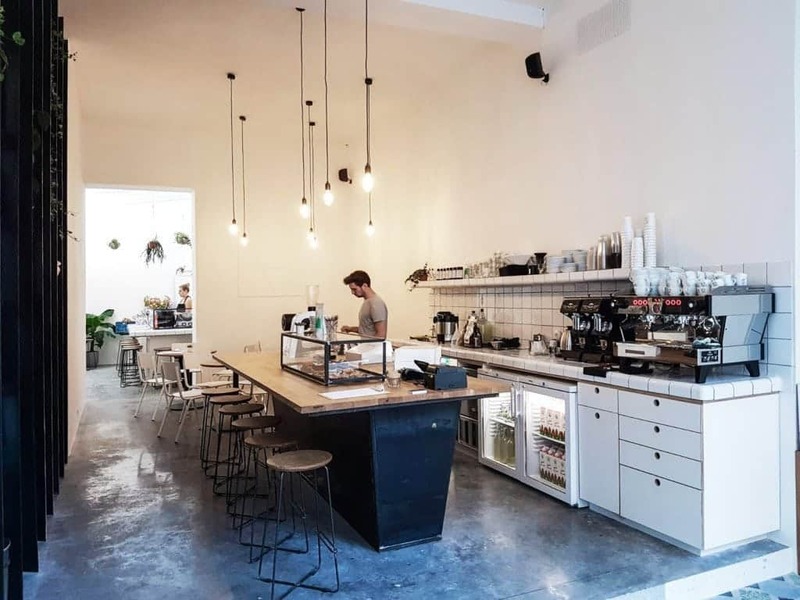 For the second part of the Brussels specialty coffee scene guide we are thrilled to introduce you the new generation of coffee people, who make the coffee scene in Brussels grow so fast! If you have not read about the Patriots, find them here! 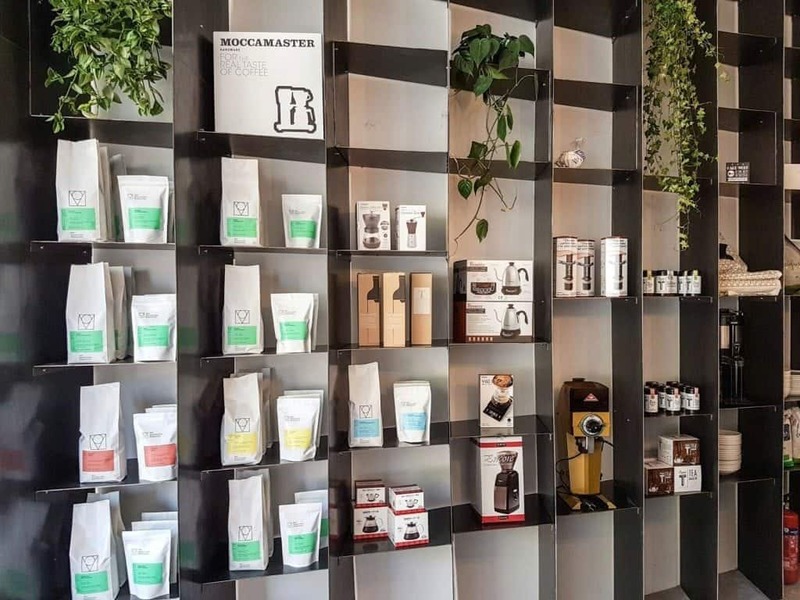 As surprising as it might sound, all of the following businesses opened in 2016 and they are ready to increase the global awareness of good coffee to Brussels citizens, sharing their experience and knowledge with Specialty coffee. Some of them are located in the city center, but a few are located in other neighborhoods, making it even more exciting. I guess there’s no limit now, and the more of them there are going to be, the better the quality will grow. Belga & Co opened in 2016. Charly and Loic had already started working in coffee a while back then, although their advance to coffee shop owners was a bit vice-versa. 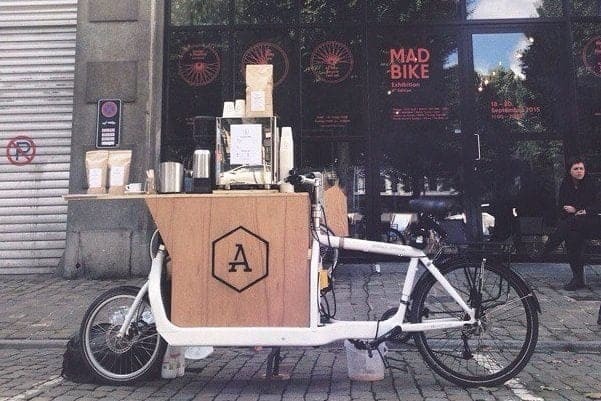 Through roasting and selling beans to other businesses they realised that a coffee bar would be a great opportunity for them to get in a direct contact with customers and share their passion. They decorated their cafe in purple and gold, using loads of wood elements, providing their customers with a bookshelf from which they can trade books. If you bring one, you take another one home with you. There is a small garden at the back of the cafe, with a table made out of a massive piece of tree. Other decorations are made of coffee bags hung on the wall, a few pieces of vintage furniture and very beautiful, dark green, square tables by Charly and his father. You can choose between two espresso options – their blend Le Petit noir or a single origin, such as Colombia San Alberto. Espressos are extracted on a La Marzocco PB 3 group with built-in scales, ground with two Mythos 1 grinders from Nuova Simonelli. A nice Ditting grinder from 1991, which is interestingly of the same age as Charly, is used for filter coffees, which are prepared on a great range of filter equipment – do you fancy a Chemex, V60, Aeropress or perhaps Clever Drip brew? Coffees for home-brewing included Kenyan Nyeri and Colombian San Alberta, when I last visited. 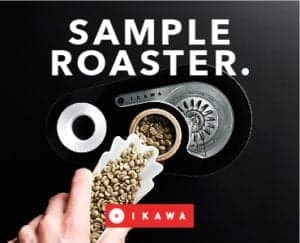 They roast their coffees on omni roast profiles (for both espresso and filter brewing). That day, I had a tasty Nicaragua on cold brew. Fresh! 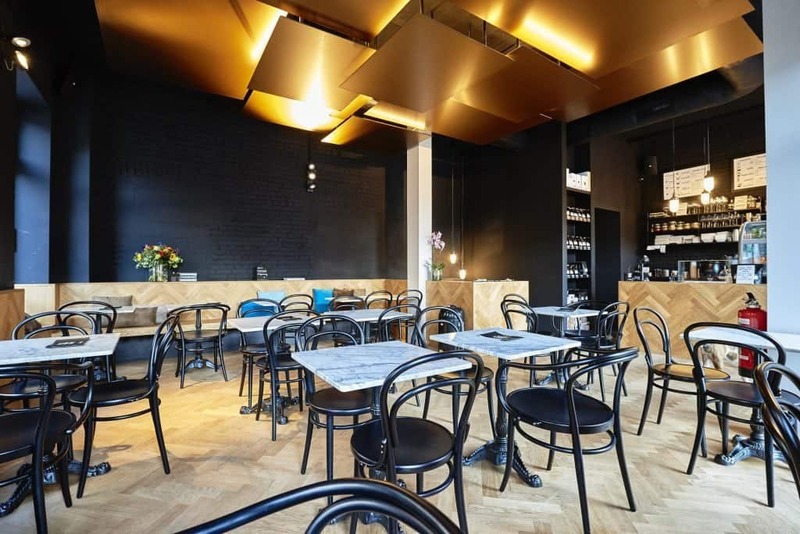 If you want to meet the new generation of the Brussels coffee game and enjoy great coffees, Belga Coffee is worth paying a visit to. I remember Marc, the owner of Kaffabar, from the time I met him a while ago during a workshop about coffee. The coffee world was all new to me then. Marc used to work in a very corporate field before he decided to leave everything, to work in the coffee industry instead. It fascinated me, yet I lost track of him for a few months after that workshop. And suddenly, Kaffabar opened in February 2016. 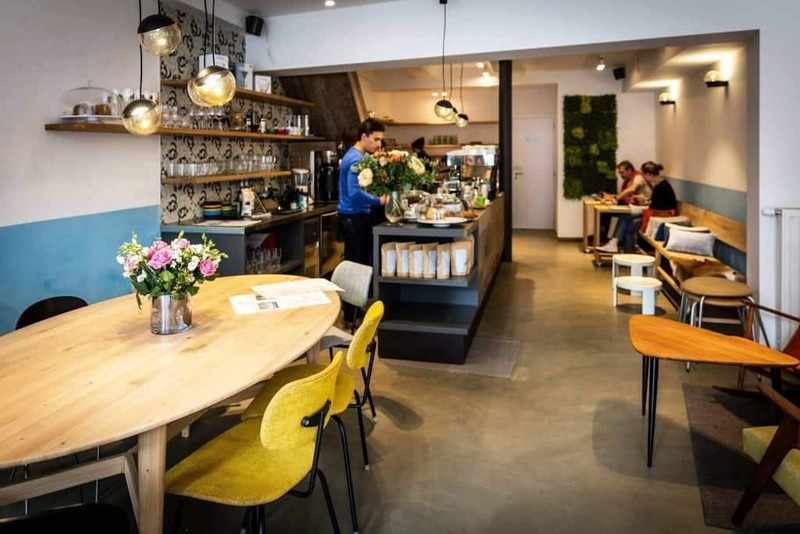 A new spot to pin on the Brussels coffee map, and a very good one indeed! 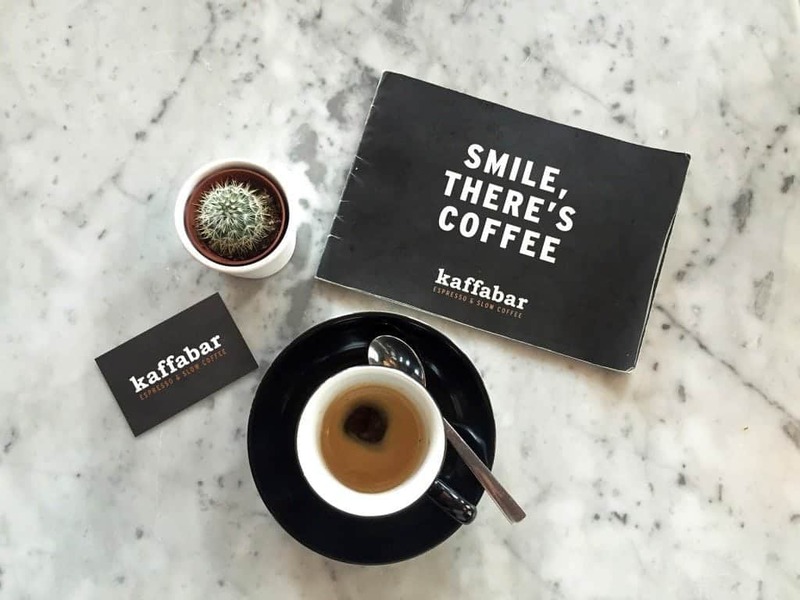 Kaffabar is a multi-roasters coffee bar. Coffees are sourced from Mok in Leuven, or The Barn in Berlin, so there is always the possibility to enjoy different coffees and travel from one country to another in your cup! 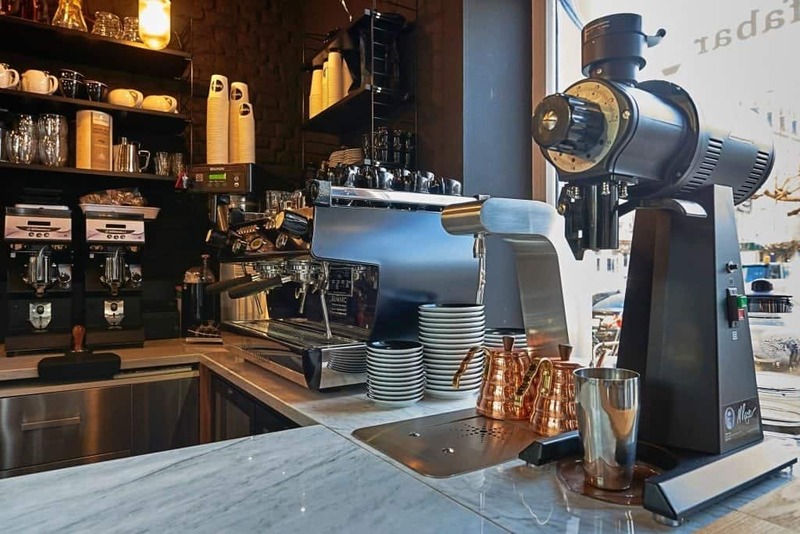 The team at Kaffabar works on a La Marzocco JB5 2 group, with an EK43 grinder used for filter coffees, a Bunn for batch brews, while all four hand-brew methods also available – V60, Aeropress, Chemex and French Press. On top of their coffee offerings, they serve excellent tea and chocolate drinks with an extra touch. Teas, for instance, are served with a little timer, to ensure the perfect extraction. Chocolate-based drinks are served with a mini whisk, which will either deepen your experience of drinking the hot chocolate, or help you get rid of the t-shirt you do not like that much, anymore! Iced tea, cold brew and other iced coffees are served in whiskey glasses, adding a touch of class to something so simple, yet delicious. Served at your table by a barista, the filter coffee will be finished in front of you. Truly, each drink is prepared with the utmost care. The interior of the cafe is designed in a beautiful way, in collaboration with Architectslab. The walls are painted black, and benches are formed by wood panels veneering the walls. Black chairs, wooden parquets, and marble tables are lit by warm lights hanging from the ceiling. Come here even if it was just to say hi to Marcel, the owner’s dog that is also the cafe’s mascot! You’ll find him here everyday, watching over the place from his headquarter. 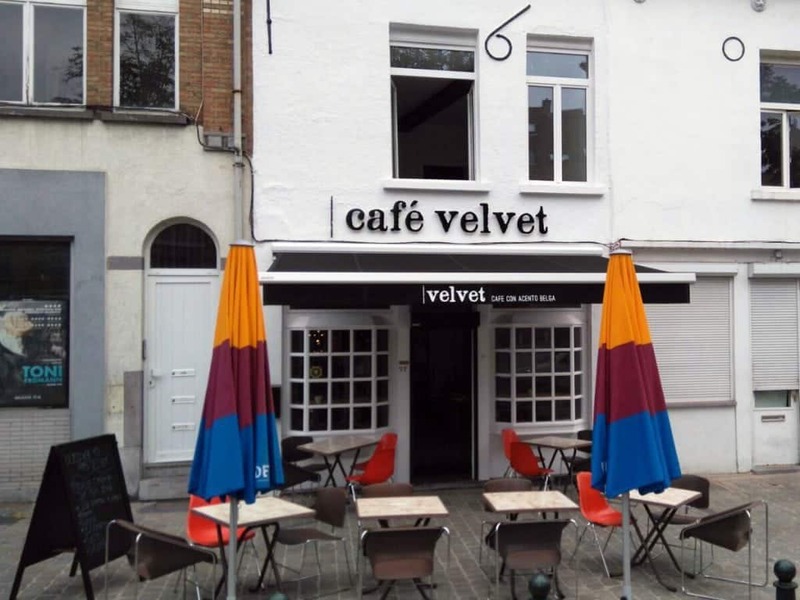 The story of Café Velvet started in 2013 when Ilse Geykens, a lawyer from New York City, learnt about specialty coffee for the first time, during a business-related trip she was on, in Colombia. No more than a year later she opened her cafe’s first location in Medellin! At the time, it was hard to find a specialty coffee bar in Colombia, and to Ilse it felt logical, for a producing country to have some! In 2016 she opened her second location, in the Sainte-Catherine area, in the heart of downtown Brussels. 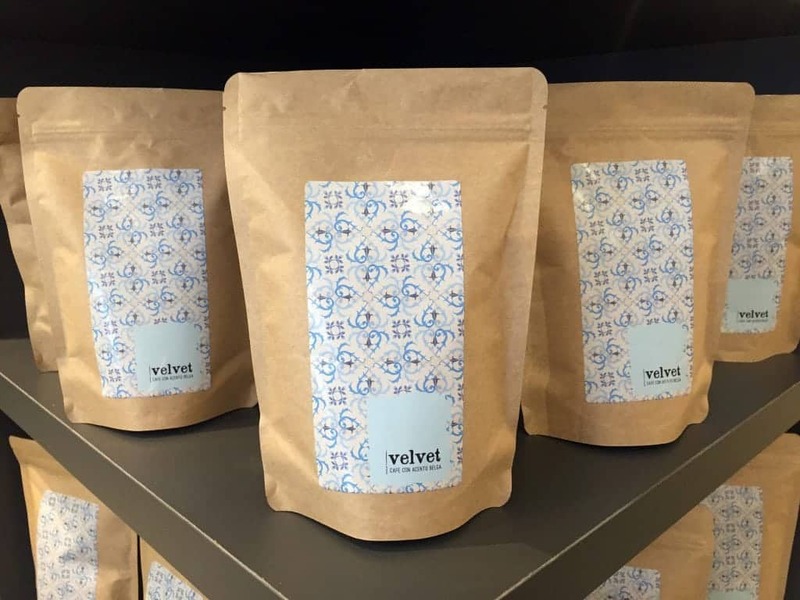 Café Velvet is a Colombian specialty coffee concept. 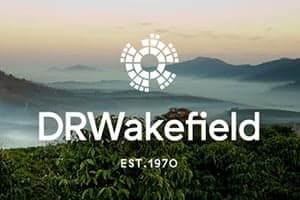 The shop uses strictly Colombian coffees, continuously sourced in farms located in mountainous and sometimes dangerous areas of Colombia. Thanks to Ilse’s two-country business, the Colombian and Belgian teams can travel between the two. 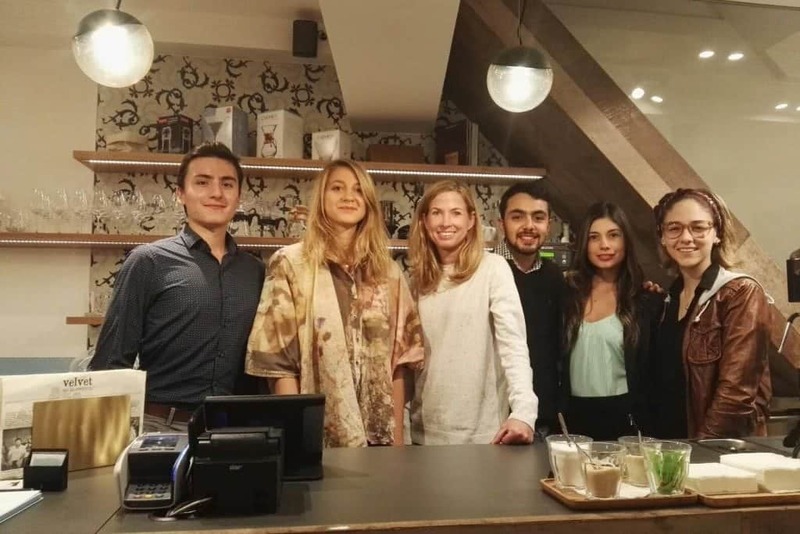 Willem, a young Belgian coffee enthusiast, is now visiting Colombia, learning the craft of roasting, while two baristas from Medellin previously came to Brussels, to help with the most recent opening. At the moment there are two coffees available on the Brussels bar – La Sierra El Tractor and Caicedo El Aguila. Both coffees are graded 87 by the SCAA standards and roasted either for espresso or filter. 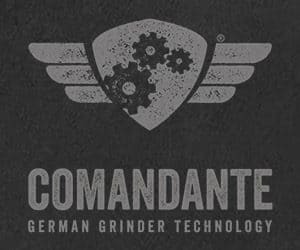 La Marzocco Linea PB 2 group, two Anfim grinders for espresso and a Compak R100 for filter are sitting on the bar. Not only V60, Aeropress, Chemex and French Press brews are available, they serve also Bunn batch brew. If you want to taste a number of great Colombian coffees, Café Velvet is definitely the place to compare one next to another! Mok is the newest and freshest kid on the block, yet Jens Crabbé, its founder, has already proven the excellence of his subtle, light and full-of-flavors roasts, and the great consistency of his coffees. 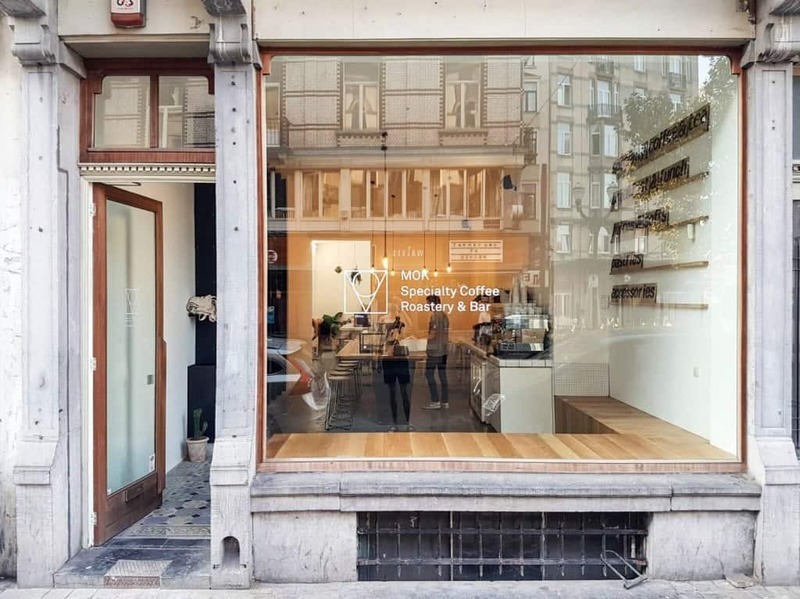 Mok started in Leuven as a micro roastery and a coffee bar, back in 2012. 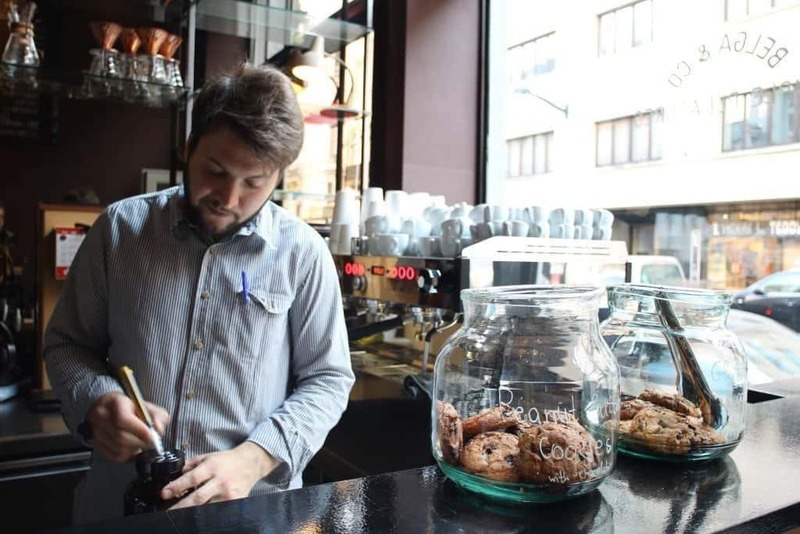 2016 marks the opening of its second coffee bar, in Brussels, with Michiel Stegen as head barista. The rue Antoine Dansaert is well known as a headquarter of the young fashion designers avant-garde in Brussels. 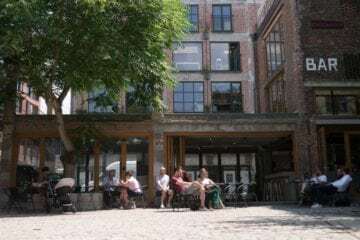 Located on the outer end of the street, Mok is in a popular area, accumulating a mix of people from a wide range of backgrounds, origins, interests and languages that represents the real DNA of popular Brussels. You will find the bar in an old Art Nouveau building with sculpted wooden frame on the facade. 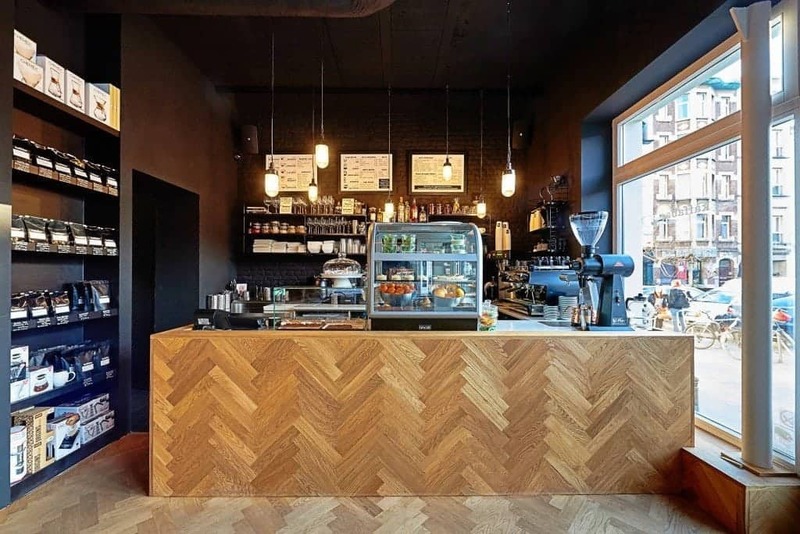 The interior design, made in collaboration with Wøti, Nono and Gijs Van Vaerenberg, is rather minimalistic, which is not a typical look we are used to see in most of the coffee bars. 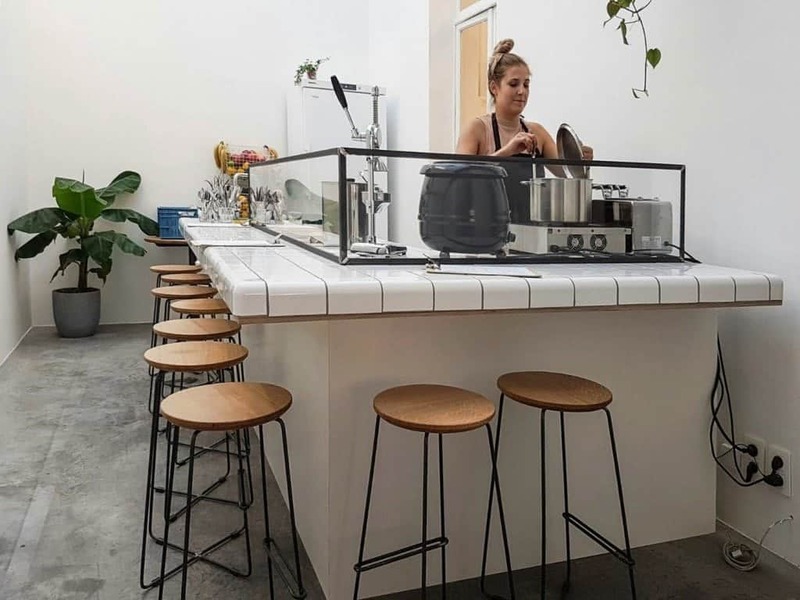 There are old tiles on the floor, mixed with concrete, white tiles on the back counters, a touch of wood and a big metal shelf. It is fresh and aligned with their minimalistic logo. Everything is made-in-house, even the sodas! No sparkling water here, they make their own sodas using a yeast process. With milk whey, a waste of yoghurt, they make it sparkle. They also make a cascara beer, using the coffee cherry, that is usually put to waste as well. Food menu is directed by Josefien Smet, an experimental chef who has been working with Jens for 3 years already. She is very passionate and blogs about healthy food. With some friends of mine we decided to try almost everything but espresso. We had an americano, a batch brew, a Kalita brew and a Kalita on ice. It was a really nice set of drinks! 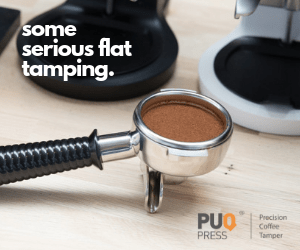 La Marzocco Linea PB 2 groups with built-in scales, two mythos1 grinders, and an EK43 for filter are the prime equipment on the bar. 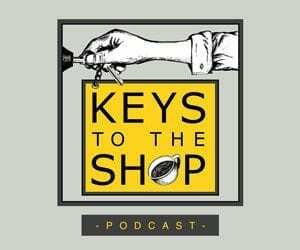 The coffees brewed with it range from an Ethiopian Natural, Jimma Kayon Mountain, a washed Kenyan Kiamabara AA from Nyeri, and a honey processed Costa Rican. 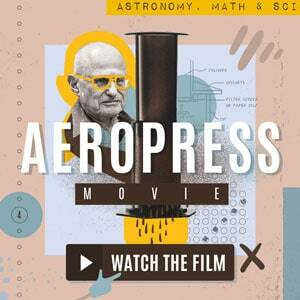 Their house blend is then used for espresso and milk drinks. Coffees are roasted in small batches, from coffees from small lots, and change every two weeks. If you pass by Brussels, there is no doubt Mok is worth paying a visit. You’ll enjoy great coffee and food in a characterful neighborhood, and that is always something to cherish. 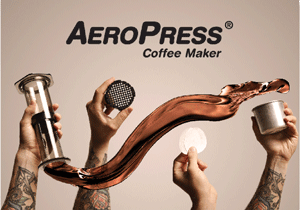 Apex used to strictly have business to business activities, delivering “seamless office coffee service”. 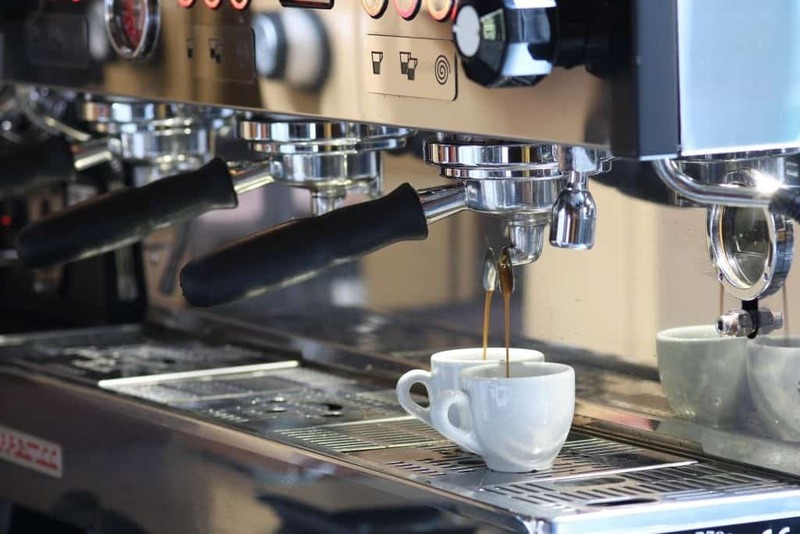 Setting off business meetings with specialty filter coffees brewed in a Moccamaster, for big or small companies, they realized one thing – there was a new demand to fulfill within their area. 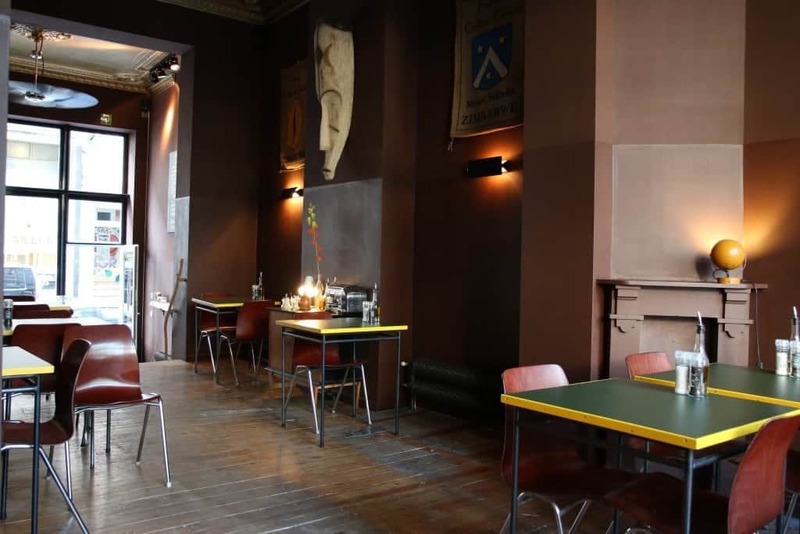 Their neighborhood, Schaerbeek, which is not centrally located, needed a place for coffee. They organized a crowd funding, which was a success. 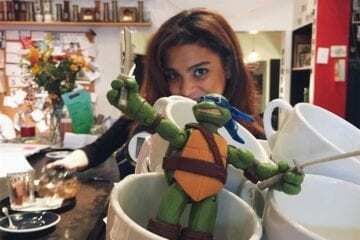 They have already raised enough money to start their coffee bar project, soon. In the meantime, they continue supplying offices with great coffee. Some of the roasters that supply their caterings are OR Coffee from Ghent, Normo from Antwerp and Mok from Leuven (Brussels). 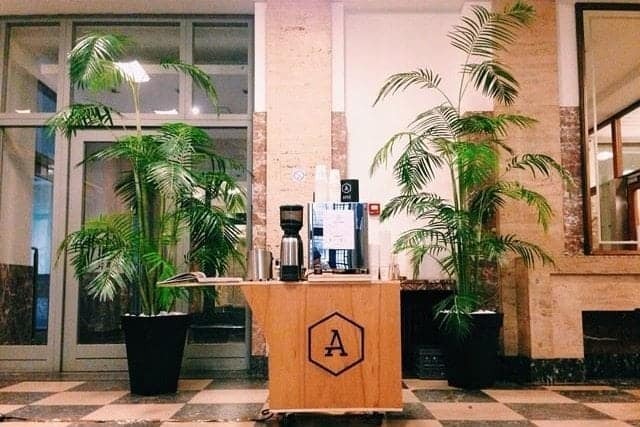 Keep an eye on Apex, in and outside of your office, as the opening of the coffee bar will happen towards the end of September, or in early October! 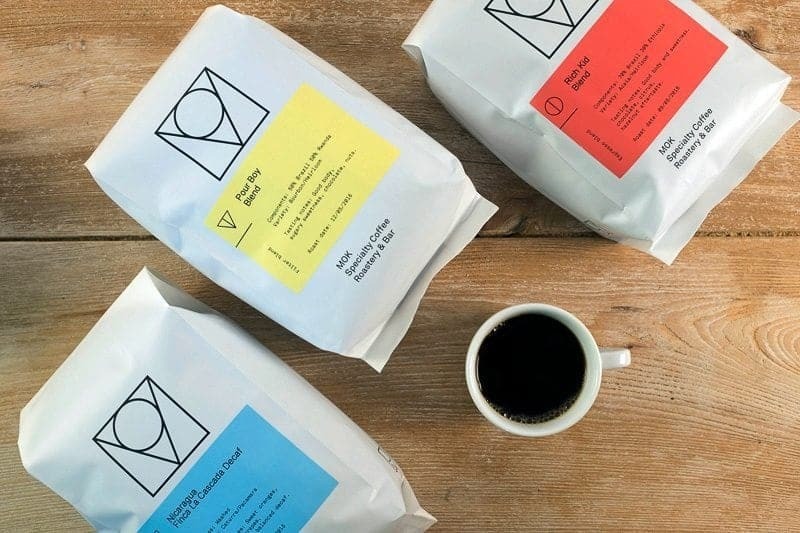 Thomas Wyngaard runs OK Coffee, a Brussels based platform dedicated to coffee in Belgium, in Europe and even sometimes in the whole wide World.